Loved this place always till was forced to eat a set menu for 999 on a Sunday noon – the spread turned out to b as ordinary & undifferentiated as anyone else with some element of Chinjabi & some authentic stuff. Hated myself later for not walking out after being refused A la carte. Almost 8 years back we had walked into this restaurant & had a lobster preparation among other items. Still fondly remember it. Went back several times with my best friend, with my Indian office colleagues & also with my Guests from China. Authenticity was always the forte of China Club & prices were always on the higher side & just due to the high standards of their food, I always have considered them ‘value for money’. My Chinese guests wud say ‘This is 90% Chinese – As good as it can get outside of China’. So when we walked into China Club for lunch on a Sunday earlier this month, I was mentally prepared to shell out approx. 4k for 2 & in turn have authentic Chinese Duck, tenderloin & seafood preparations. Instead, I was shocked to be told that ‘Sorry Sir, in mid-day we serve only Brunch. U can choose from a set of options & the items will b served on ur table – Only for Rs. 999 per person’. I argued that we wanted A la carte but that fell into deaf ears & we were told ‘ If u order the Brunch, then we can serve u anything from a la carte menu in addition.’ What!!! That was the weirdest offer I had heard of. 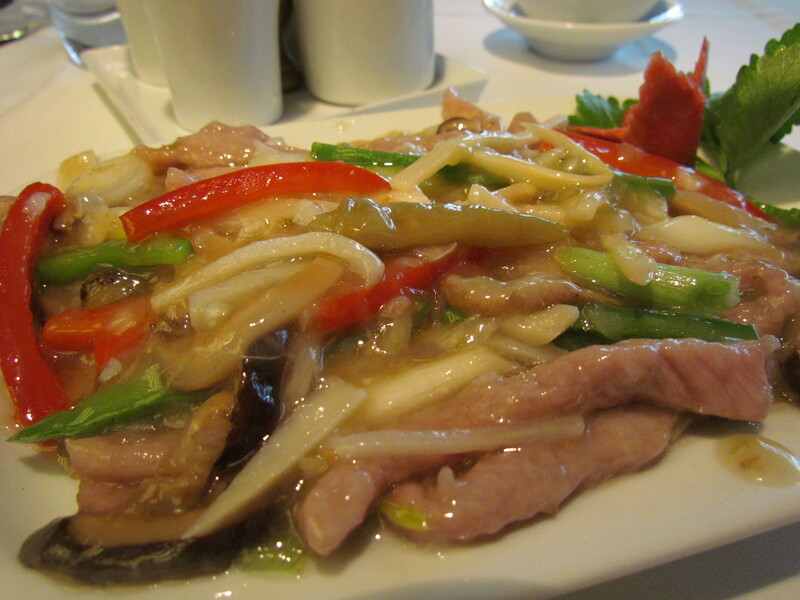 However, we decided on not walking out & continuing with the Brunch remembering ‘the great food served at China Club’. 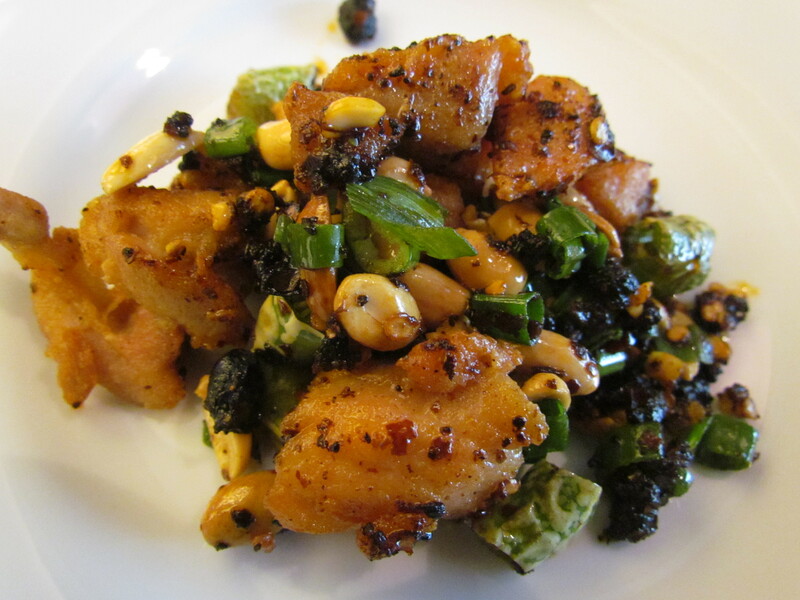 Diced chicken with green chilly, peanuts & lao gamma. I was also stuck by the ‘999 buffet’ thing – With someone at China Club’s level, why do they need to get into the rat race & end up infuriating connoisseurs with average food!!!!!!!!!!!!!!!!! The interiors are very beautiful – There r kind of open cabins along the wall, the way u see in China. The central area has seating as well. The ceiling has a smart modern pattern to it that stands out. A bar is located in the right corner of the hall (as u enter the restaurant) & a see thru kitchen is located on the opposite end. Inside the kitchen one can see Chinese nationals even today. Staff members r polite but not warm. They r knowledgeable but did not positively contribute to teh menu selection / anything related to the whole experience. 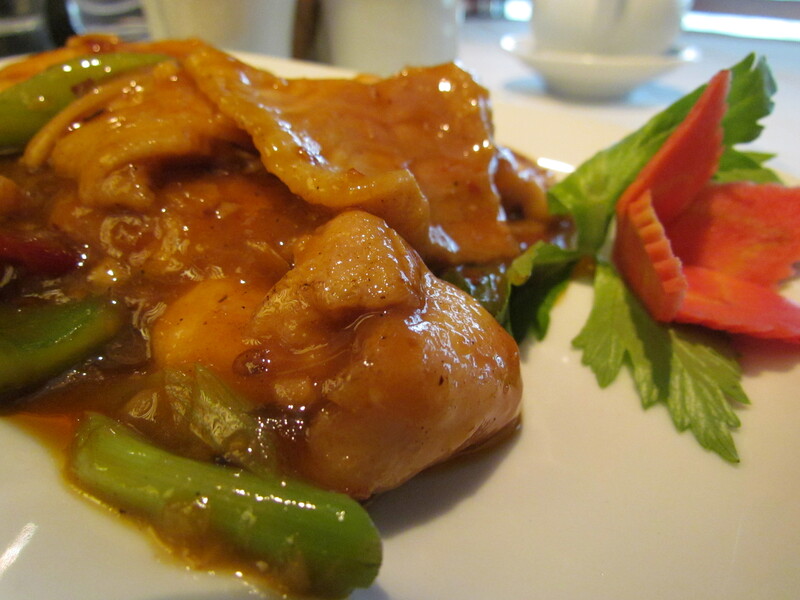 Food has always been good in China Club. The buffet was relatively a disappointment. I have been to & stayed in China on several occasions & eaten at restaurants, streetfood, factory canteens & many other places. So every time I eat Chinese in India, my brain gets into comparison mode. The extent of authenticity seemed to be on the lower side. A lot of food was much more chatpata & Indianized than before. It was not shamelessly Chinjabi like in many other places but many elements of the buffet were surely was miles away from the real thing. The sauces were mostly right, the direction right but the final taste & flavour was more Indian. 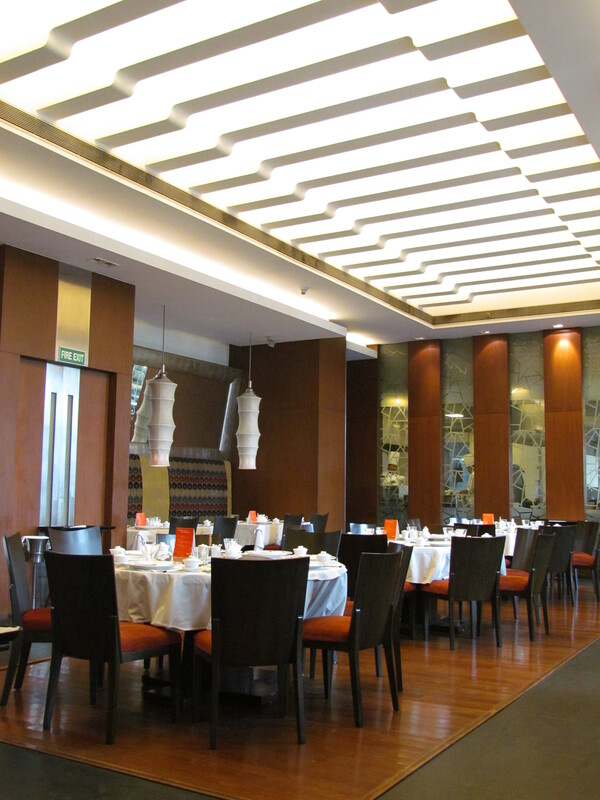 We tried the following dishes at the buffet & the overall experience was sub-satisfactory. The fixed menu had a choice of 4 Appetizers, 1 soup, 4 main course , rice/noodles & dessert. Depending on the size of the group the portions wud vary but every table will get this number of options. We started with ‘Sauteed lamb brisket with chilli & caraway powder’. It turned out to be the best of all the appetizers. Before even describing it much I give it a 4.5/5. 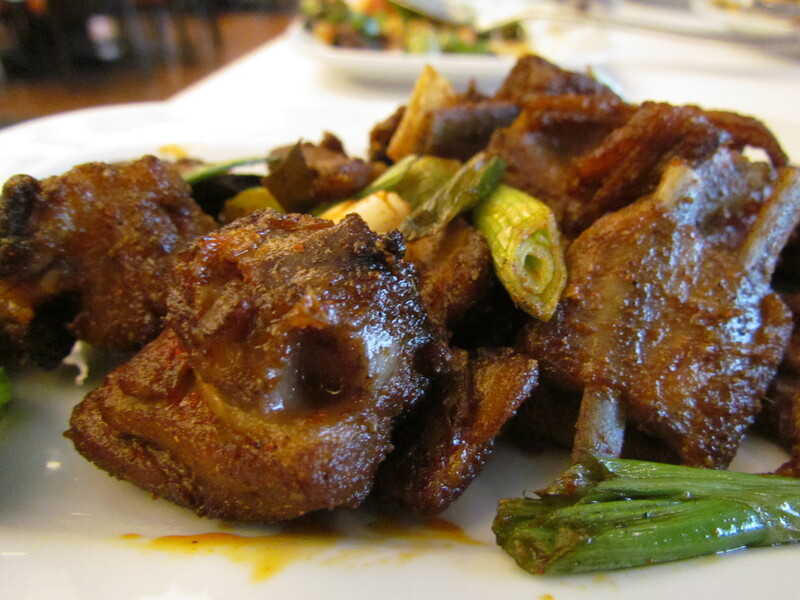 It was essentially Rib area meat of baby lamb & had bones in it. It was somewhat crispy outside & had a granular texture too (caraway powder). It was super soft due to the ‘layeriness’ of the meat – layers of fat & meat sliding against each other layers, a lot like Kashmiri tabak maaz. Taste perfect, flavours perfect & texture outstanding. Overall, Just too good. 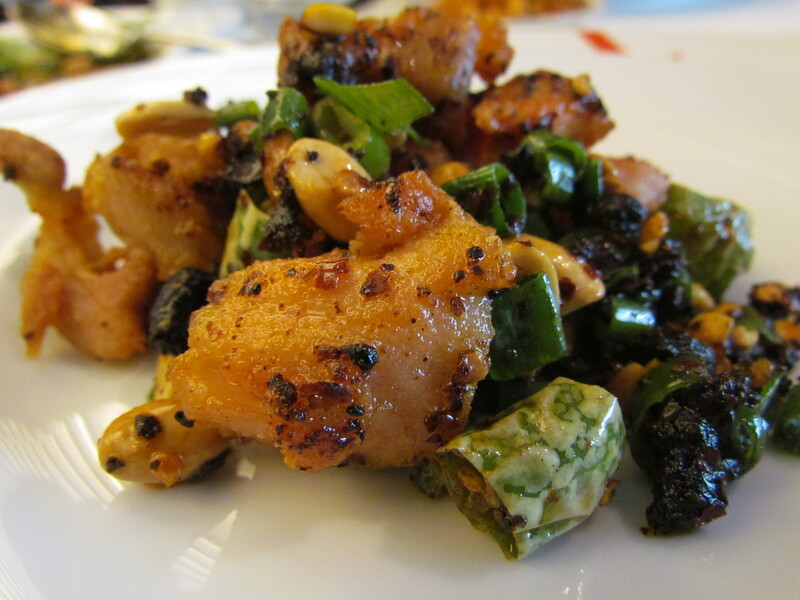 Post this we were served ‘Diced chicken with green chilly, peanuts & lao ganma’. Chicken being Chicken, this dish cud not compete with the lamb but overall the dish was too good. It had soft juicy pieces of boneless chicken sautéed with peanuts that added a whole new dimension to the dish & also green chillies & spring onions. I wud rate this at 4/5. 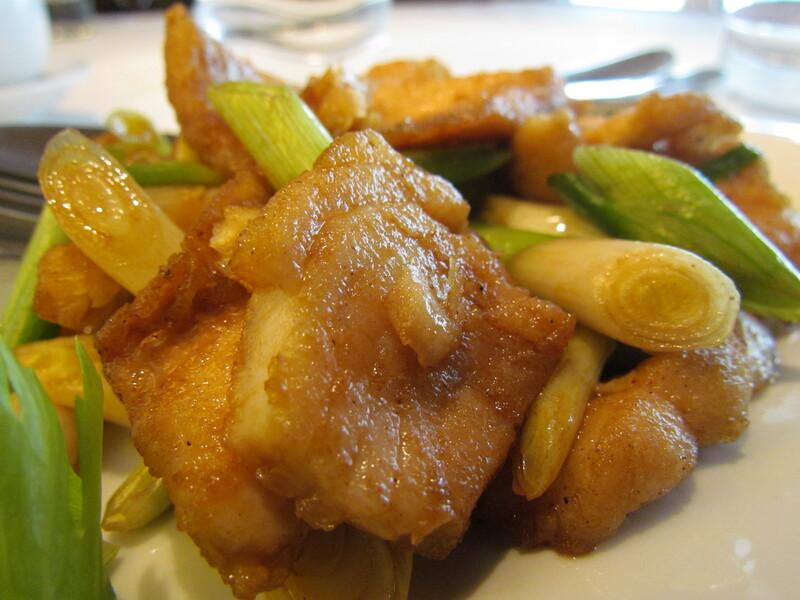 The third dish we were served was ‘sautéed sliced sole with ginger & spring onion’. The fish piece itself was good as it is but the dish cud not make its presence felt in my mind. 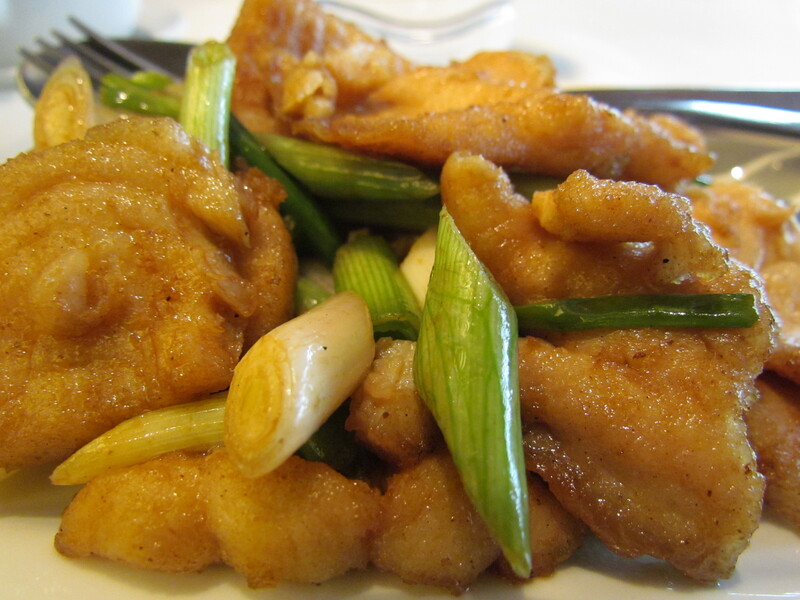 Infact, for a fish lover, this dish fell way short of the chicken dish. It wud rank last out of the 4 dishes. It was very bland on a relative scale. We already had a baggage of strong taste & flavours in the mouth from the two earlier dishes & no amount of rinsing the mouth with soda did anything to enable me get the taste of this food. Loads of food in South China are bland but there is a ‘method in the madness’ or ‘taste in the blandness’. This one just failed on that count. Logically this shud have been served 1st & not 3rd in the sequence. Overall – It was good but not an inch beyond just that. I wud rate this 3/5. 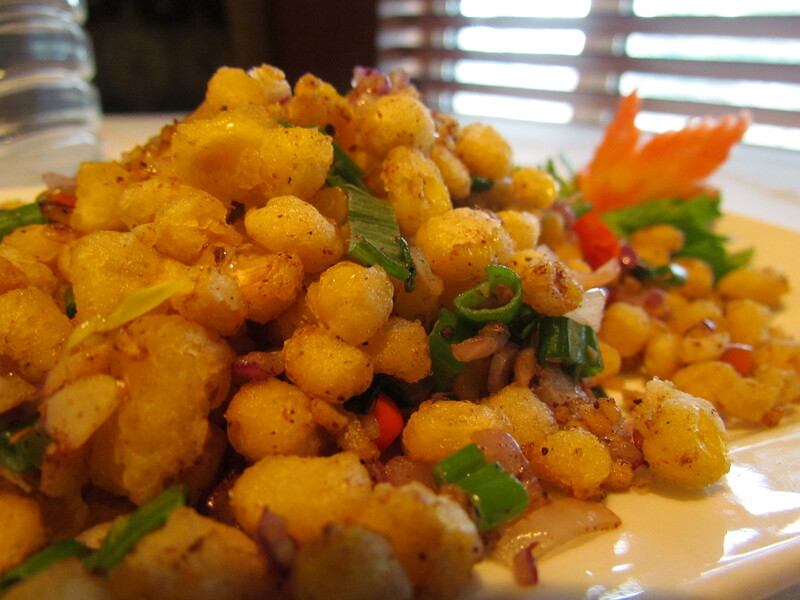 The last item in the starter was Stir fried corn seeds with spicy salt. This was chatpata, crispy on the outside. The corns were nice & soft. The coating of corns made sure that teh corns wud burst in the mouth when bit & that was a nice experience. However, the feel of ‘corn flour’ was bothering all the while. I wud say it was sub-good & hence this dish gets a 2.5/5. 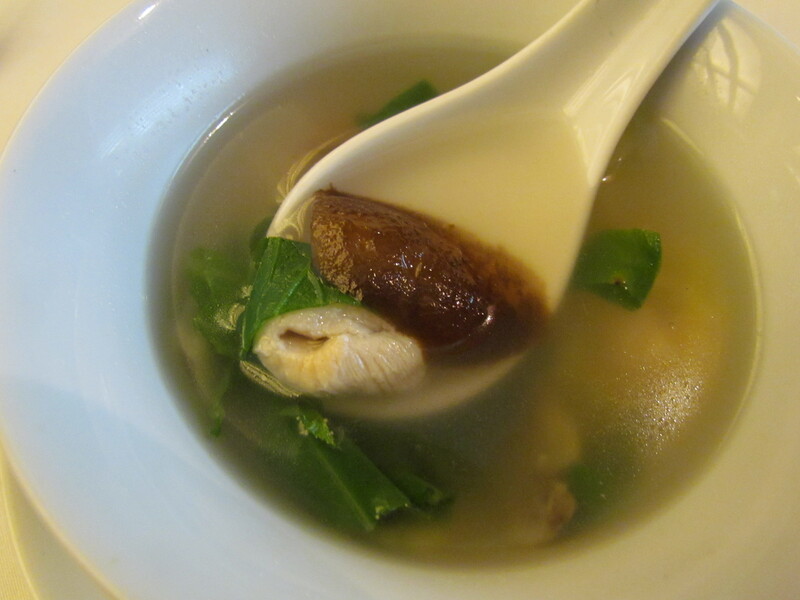 Next came ‘Garlic flavoured clear soup with chicken’ – a chicken Soup with mushrooms & veggies. This was very good – as close as possible to the original Chinese version as possible. 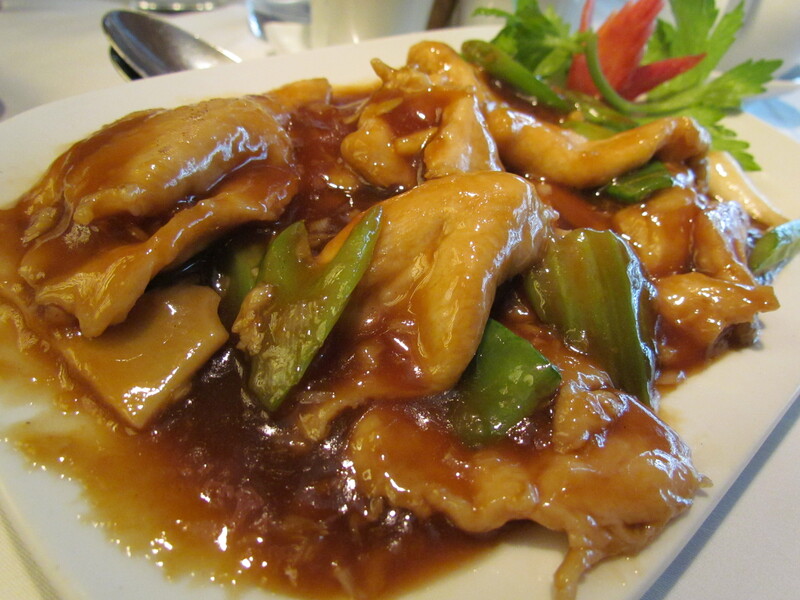 It had almost nothing in it, was as bland as they serve in say Xiamen or Quanzhou & as flavourful as well. It had some crunchy veggies, soft nice black mushroom & wonderful chicken stock. The chicken pieces were useless though & had no taste / flavour. I wud give this dish a 4.25/5. The items on the Main course were thankfully better than the ones in the starters. However there were two clear distinctions of this vs. what they serve in China. The sauces in China r usually thin & float around. 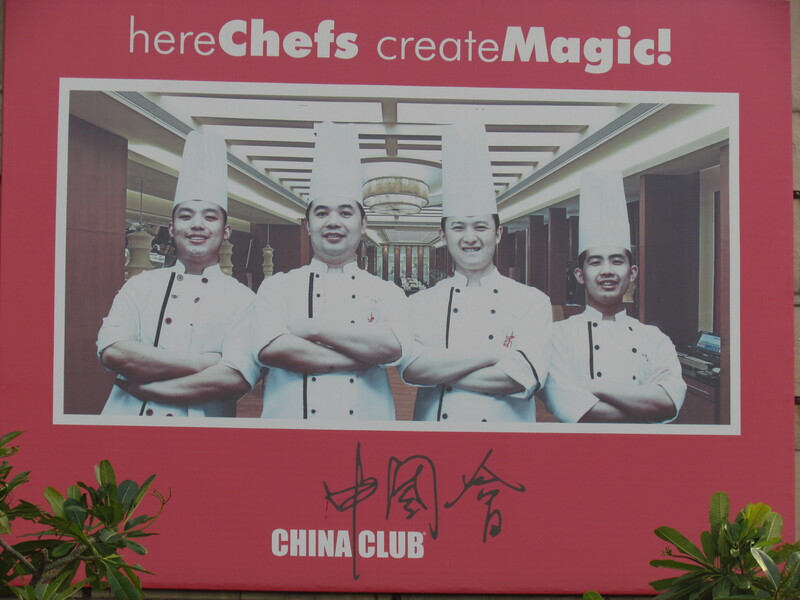 The sauces at China Club were much thicker maybe to suit teh Indian palate. This was not the case earlier. Also, most of the seafood / fish are just sauteed / steamed in China. At China club the fish was slightly coated – maybe coz fish is not as fresh in Delhi as it is in China / coastal regions of India. The good thing about the food at China club was however the use of good ingredients like snow peas, super duper crunchy veggies, super soft black mushrooms, celery stems etc. However, for an Indian guest who is not used to Celery, a bite into this might prove to be more than adventurous though. Best in the maincourse was the lamb again. Sautéed prawns with chilli black bean sauce was good. 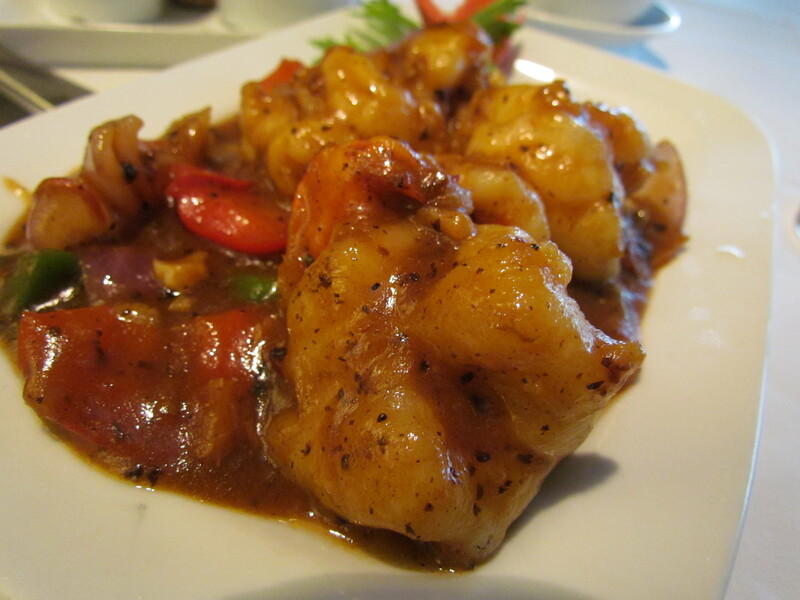 The prawns were soft & good – however the thin coating bothered me & so did the thickened sauce. I wud give this a 3/5. 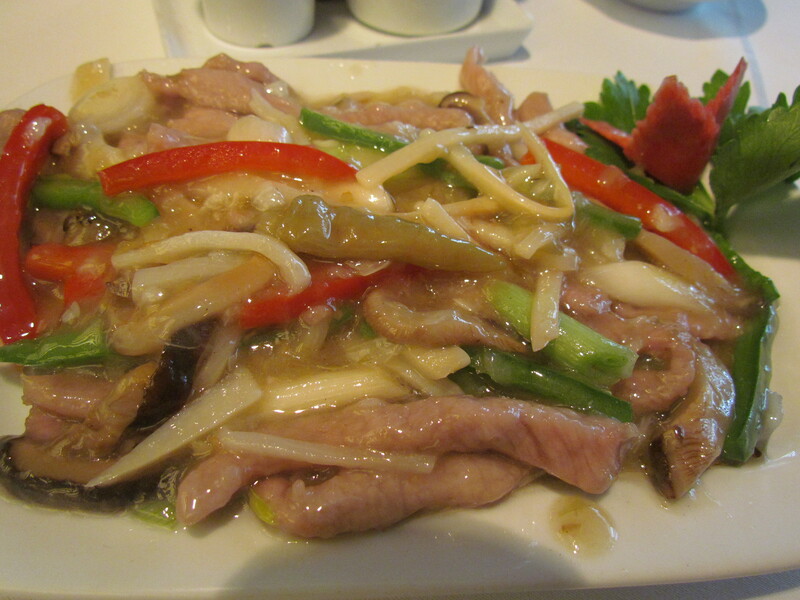 Sauteed shredded lamb with yeshan chilli was excellent. 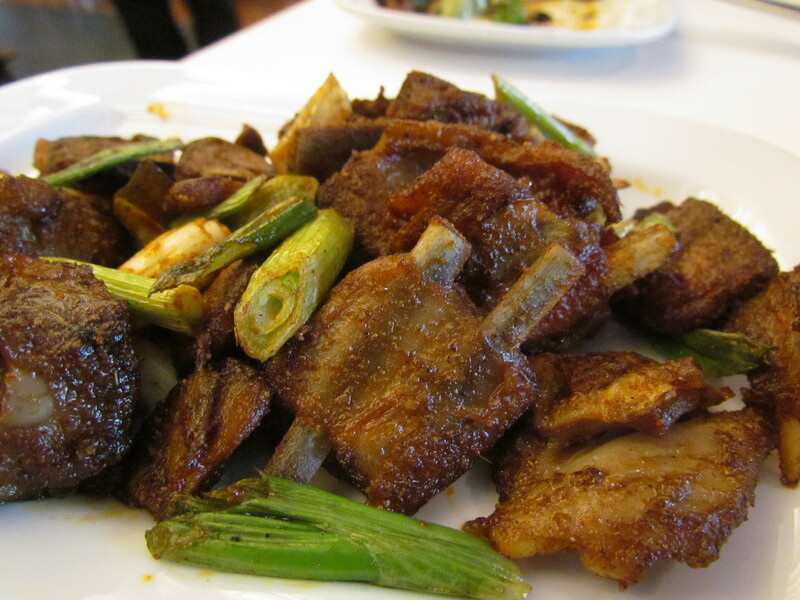 The lamb slices were super soft & yeshan chilly added a twist to this. Loved it & rate it at 4.5/5. We had this with a bowl of ‘Sticky rice’. 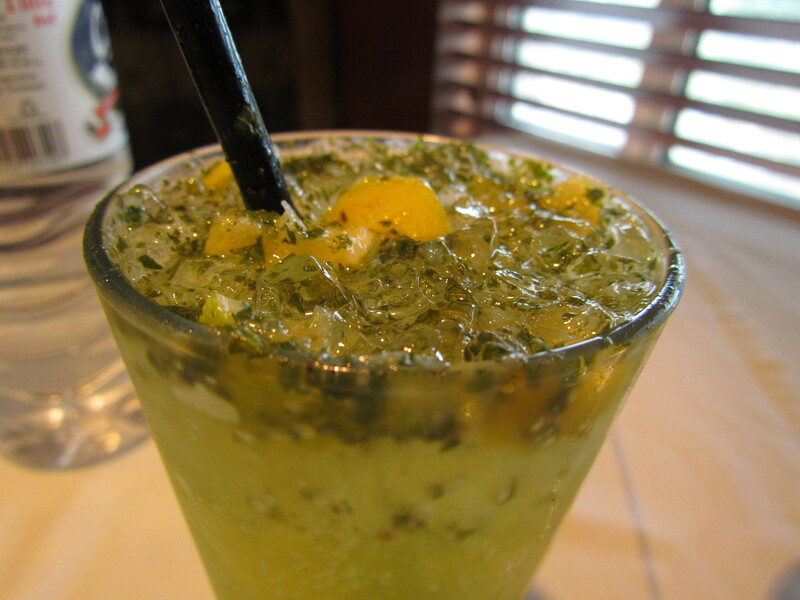 The beverage accompanying this was Virgin Mojito & was quite tangy – much like the ‘syrupy’ TGIF kind. It served the purpose of a palate cleanser quite well in general except in one situation. I wud give this a 3.5/5. 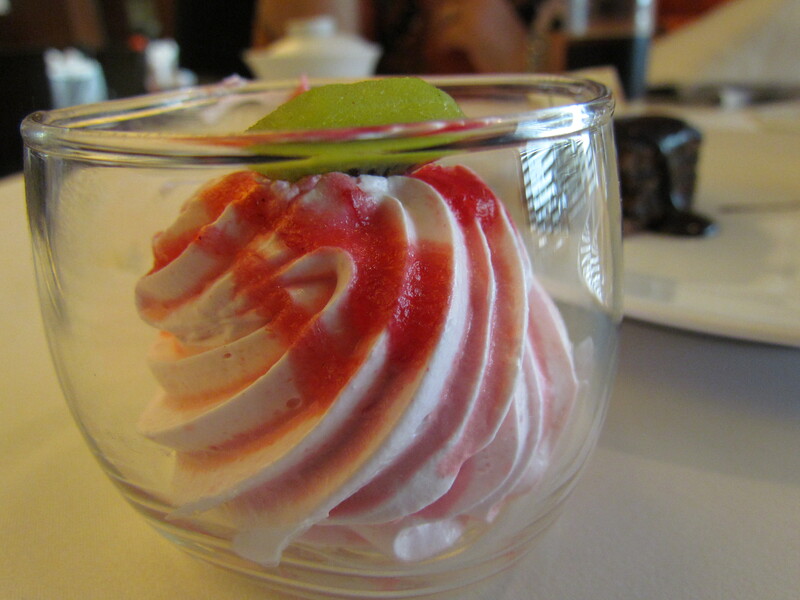 Dessert options at the buffet were limited, very very average & an apology of a spread for a restaurant like China Club. There was nothing ‘Chinese’ about them & was essentially a pastry / ice cream / brownie spread. I give this a 2/5. 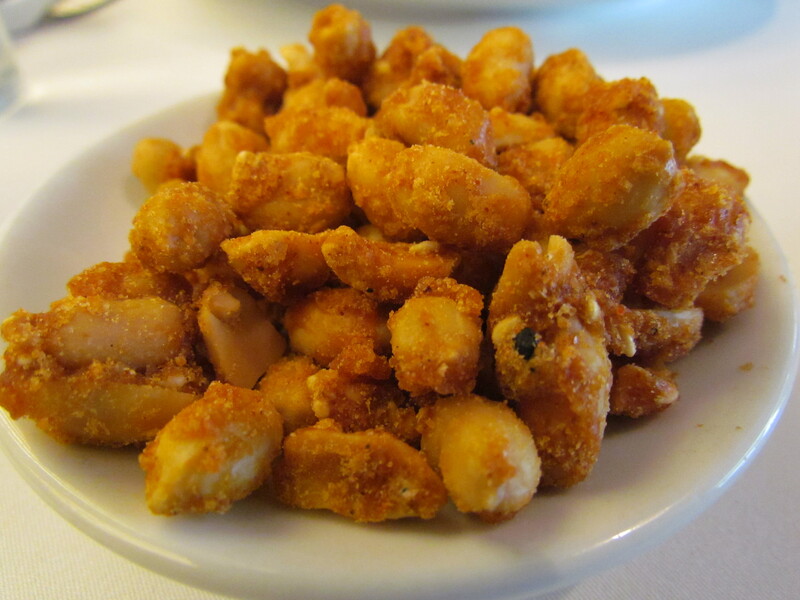 Overall the ranking of buffet at China Club adds up to 3.47/5. Shocking for me but true. ………….. Will b eager to hear ur experience from u.